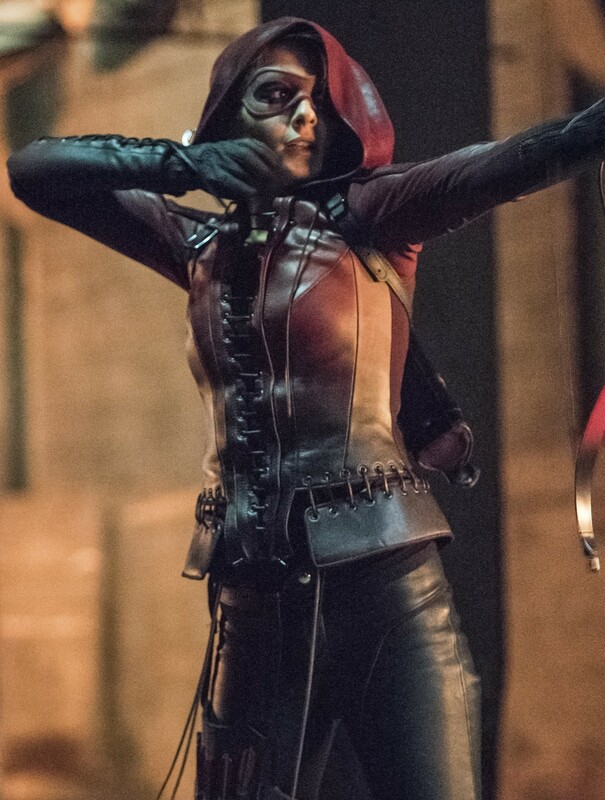 This Halloween don’t miss this Thea Queen costume and enjoy to catch all the attention. 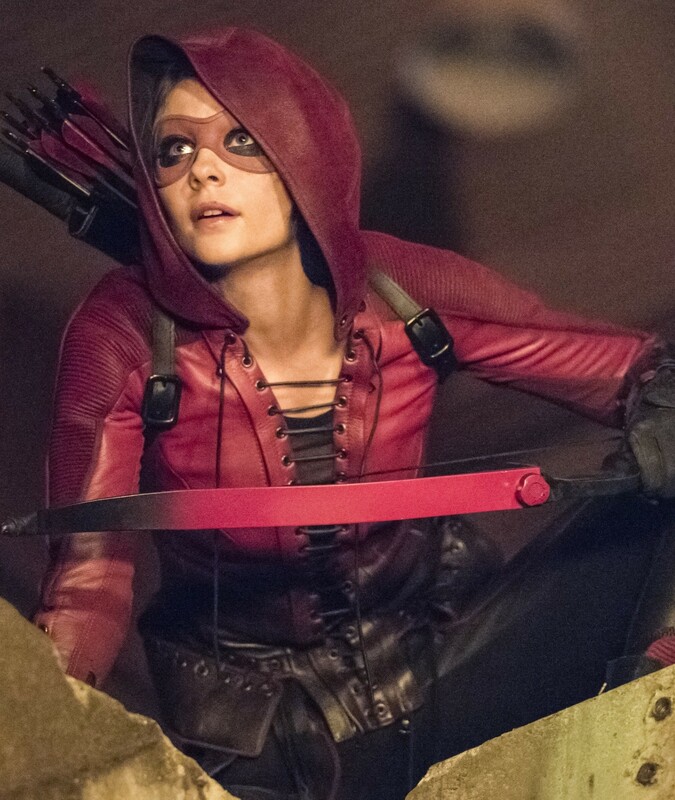 Amazing costume is enthused from the famous television series Arrow, Gorgeous Willa Holland depicted the role as Thea Queen. 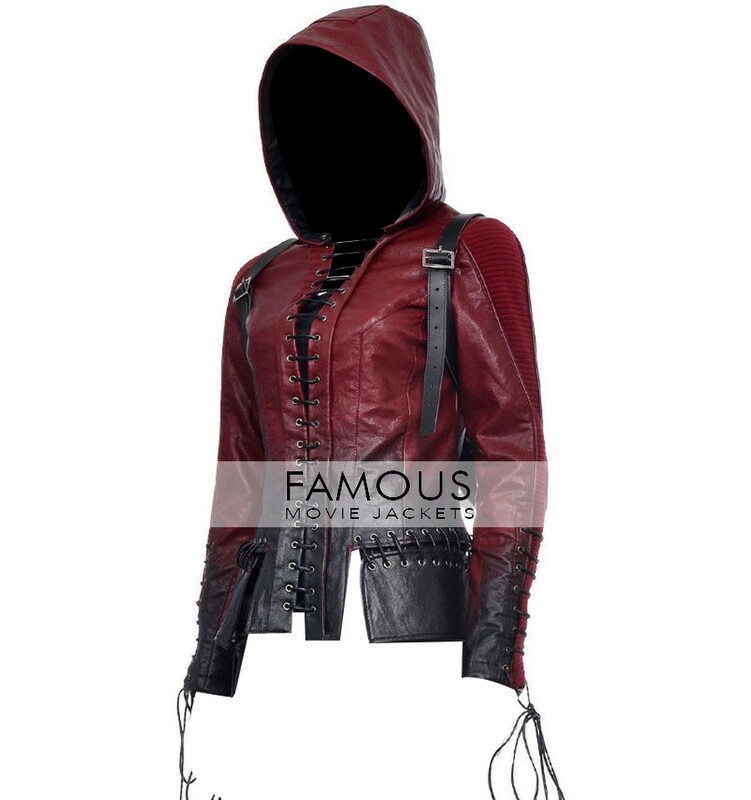 Arrow TV Series Willa Holland Thea Queen Hoodie Jacket has its own grace and distinctiveness. Recreated by our skilled designer and tailors with all expertise and dedication. The premium quality leather material has used which is 100% real. While durability on its peak with the viscose fabric as an inner lining. The hoodie leather jacket of Thea Holland has a remarkable lace closure front which makes this Thea costume is highly desirable for all smart girls. The lace detailed work on cuffs with long sleeves has an additionally class. A perfect apparel to inspire the viewers in everyday routine. 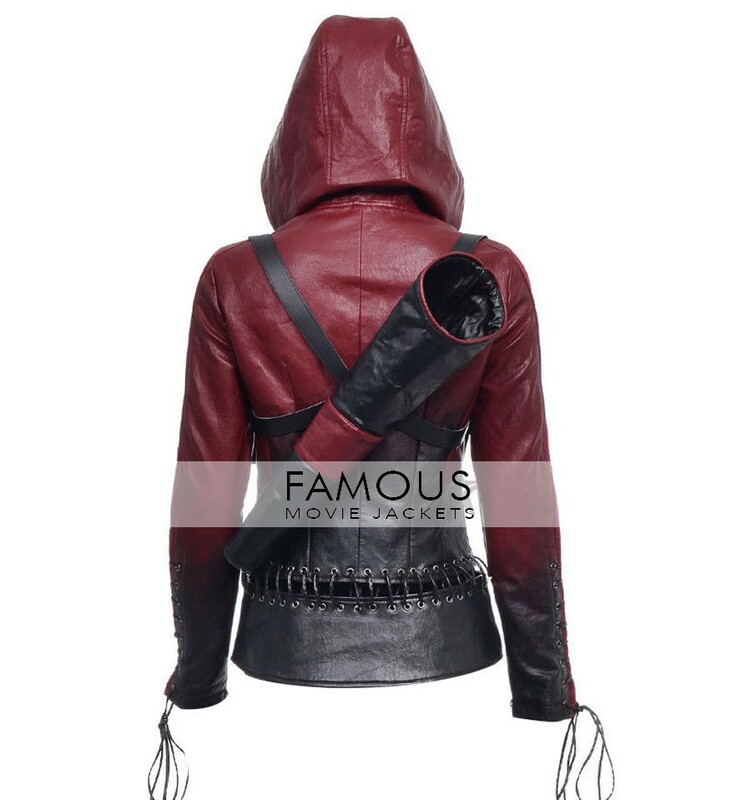 It is indeed a unique yet classy idea to pick on Halloween or costume party. So, get it now!! thanks to this urgent delivery i know it very hard to ship order in 3 days but you guys break the record of my experience, i received that item yesterday tonight i want to wear this jacket in my college party thanks a lot guys. 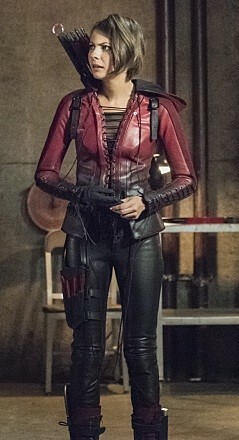 outstanding job you guys done i feel like you give me the original costume from the TV series my order is in XXLarge size is exactly perfect to my body, most important thing in this jacket is the color combination that is fine and good. perfect order in all aspect mostly the designing aspect it’s great i wear it last night on friends meeting and i look different among them by wearing this jacket. it’s about what you really like or not bought this vest in black color i don’t like jackets in other color very attractive look and purely defined thanks for grabbing it cool. 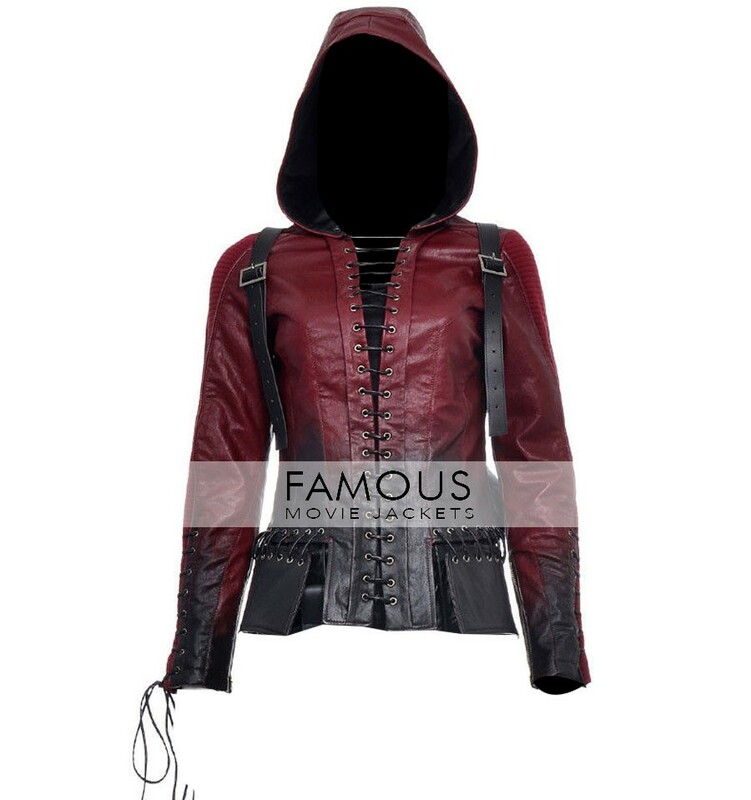 i think that the item will not be same like the original because how someone delivered 100% same but when it received to me it’s like 99% same as the TV series. it’s great job you done.